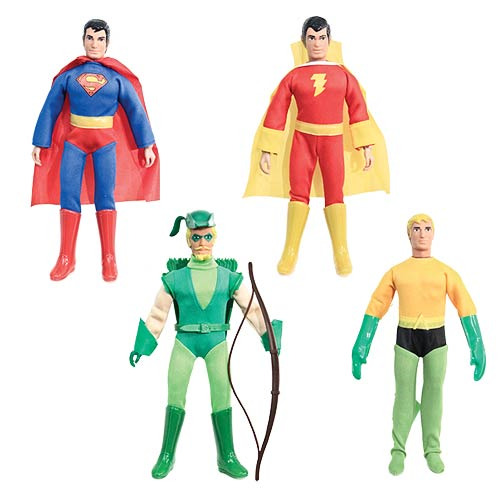 Set includes Superman, Green Arrow, Shazam, and Aquaman. Your very own retro DC Comics action figures with super fighting ability! This DC Retro Super Powers 8-Inch Series 1 Action Figure Set contains 4 individually packaged action figures with fist fighting action! One position allows for a karate chop when you hit the switch on the back of the figure, and the other position allows for both arms to punch! Each articulated action figure measures 8-inches tall.